Tizway, who missed the October 1 Jockey Club Gold Cup with a fever, shipped from his Saratoga barn and worked a mile in 1:38.47 over the Belmont Park main track on Wednesday morning as he continues preparations for a start in the November 5 Breeders' Cup Classic. Flat Out, the millionaire who dominated rivals in the Grade I Jockey Club Gold Cup earlier this month, was the first major Breeders' Cup Classic contender to arrive at Churchill Downs when he settled into Barn 47 Tuesday evening following a flight from New York. It is a great weekend of racing at Keeneland, highlighted by five stakes races on Saturday including the $600,000 Shadwell Turf Mile featuring Gio Ponti. The 6-year old will try to win the race for the second consecutive year but it won't be easy as the field is perhaps the strongest in the history of the race. This should make the payoffs generous. Every Saturday this Fall at Belmont Park, we're posting free handicapping picks for the entire day's races. The day will close with their first ever Guaranteed $300,000 Late Pick 4. 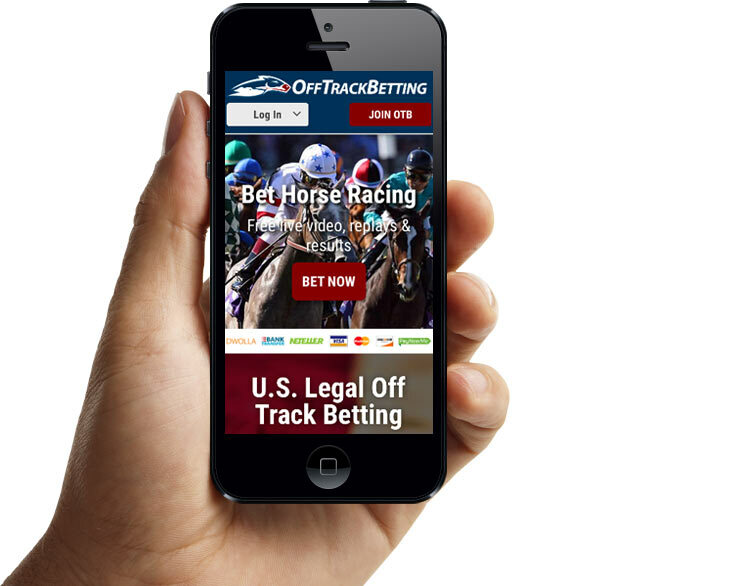 Get a rebate on your wagers, win or lose, at OffTrackBetting.com. Elmont, N.Y. - Uncle Mo, who earned a preliminary 118 Beyer Speed Figure for his commanding three-length victory over Jackson Bend in the Grade 2 Kelso Handicap; Stay Thirsty, who was third to Flat Out in the Grade 1 Jockey Club Gold Cup Invitational, and Life At Ten, last behind Havre de Grace in the Grade 1 Beldame Invitational, all were reported to be in good shape Sunday morning by trainer Todd Pletcher. Las Vegas, NV -- It will be a great day of horse racing on Saturday at Belmont Park, headlined by six graded stakes races, five of which are Grade 1 races. ESPN Classic will be televising the Super Saturday program at Belmont with all six stakes races part of the "Win and You're In" program for the Breeders Cup. ARCADIA, Calif. - Santa Anita Park has announced it will offer fans California's newest and most popular exotic wager, the 50-cent, Players' Pick Five, which features a fan-friendly low takeout of 14 percent when its 2011 Autumn Meet begins on Friday, Sept. 30. Santa Anita will also offer a $400,000 guaranteed late Pick Four on Breeders' Cup Challenge Day, Oct. 1. ARCADIA, Calif. - Santa Anita's 2011 Autumn Meeting, which begins Sept. 30, will offer 13 graded stakes, including six Grade I events which will be run as part of Santa Anita's Breeders' Cup prep program that encompasses the first two weekends of the 24-day race meeting. The Breeders' Cup prep race season is relatively short. It only lasts about 23 days, but what it lacks in long term focus it gains in high intensity. The concentration of high class talent will mirror in some ways the Breeders' Cup itself, given that we now have 15 Breeders' Cup races scheduled for Friday, Nov. 4 and Saturday Nov. 5 at historic Churchill Downs in Louisville, Kentucky.